On 21st February, the Confucius Institute for Traditional Chinese Medicine (CITCM) celebrated Chinese New Year (CNY) by showcasing a spectacular performance at the Mermaid Theatre, London. 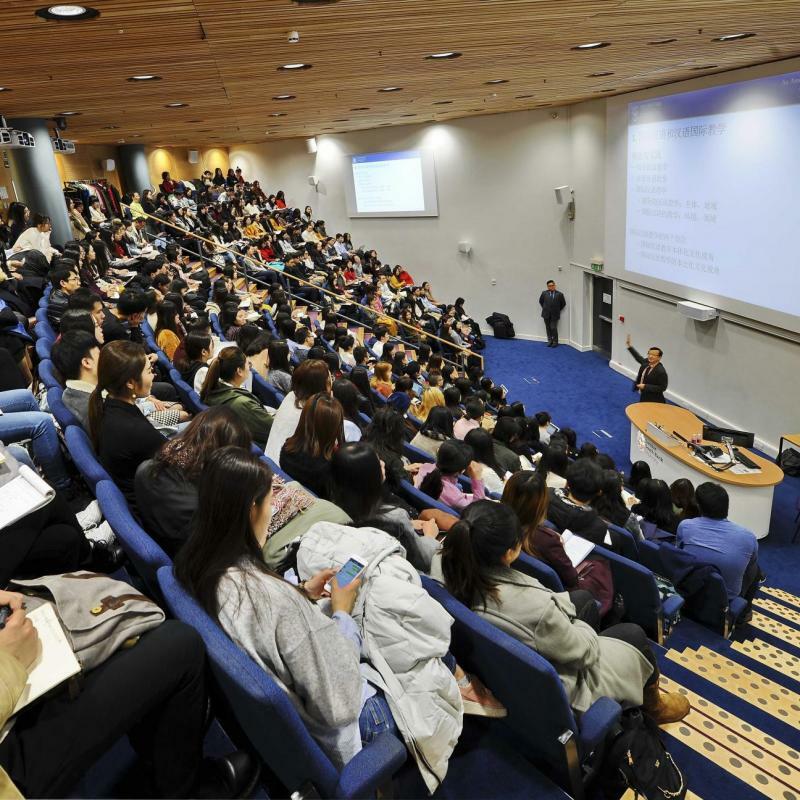 The event was co-hosted by LSBU’s Marketing Team and was attended by over 500 people, making it CITCM’s biggest CNY theatre performance to date. The evening began with a spectacular performance of ‘Dance with Water Drums’, which was followed by a lively dragon dance, the ultimate crowd-pleaser. The Vice Chancellor of LSBU, Professor David Phoenix, and the Education Councillor of the Chinese Embassy, Mr Xia Jianhui, officially opened the event by delivering welcome speeches. Both speakers praised the efforts made by CITCM and discussed their high hopes for CITCM's future. The programme ranged from dramatic Martial arts to elegant folk dances. Highlights included a rendition of ‘Dialogues between Martial Arts and Dancing’ which tastefully show cased the very best of CITCM’s martial arts and dance. There was also a raffle with outstanding prizes which had been generously donated by REI, the International office and LSBU’s Student Union (LSBSU). Prizes included chocolates, amazon vouchers and a kindle. Needless to say, the winners were very happy. The event also celebrated other cultures which are at the heart of LSBU. Ms Linsey Cole from LSBU's Research, Enterprise and Innovation team (REI), and Emilie Mendy, founder of bizzie bodies and graduate of LSBU, spoke about their work in promoting internationalisation. Dipak Petal, a member of LSBU's Hindu Society, also sang a spectacular Bollywood song. This event marked the main celebration of CTICM's 2018 Chinese New Year Roadshow. 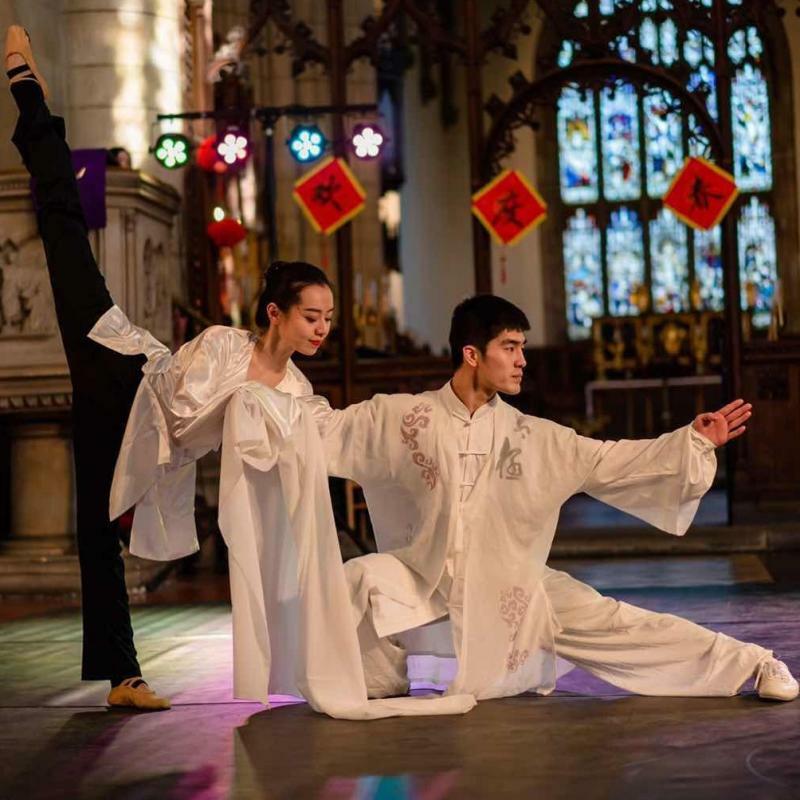 Throughout the Spring Festival CITCM has delivered over 70 performances across the UK, providing a great opportunity for thousands of people to explore Chinese culture and celebrate the year of the dog. CITCM's 2017 Roadshow is Underway!